« Apprentice Master expo #9: NEW!!! Finding your own voice as a young artist. About what it is to be a artist today. This groupshow presents key works and startingpoints. The artists share works that offered them an opening to a whole new development. Works with that plays a special role in the young oeuvre. The exhibition will be accompanied by online interviews with the artists, in which they talk openly about their work. 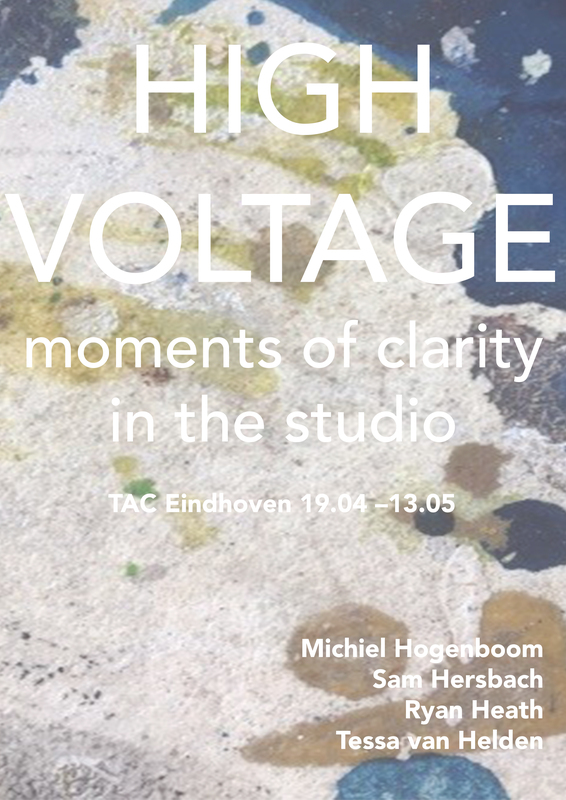 At this tenth exhibition in the Apprentice Master program of 2017/2018, Tessa van Helden, Sam Hersbach and Ryan Heath will be exhibiting with Michiel Hogenboom as their master. The exhibition will take place from Thursday 19 April to Sunday 13 May 2018 at TAC in Eindhoven. The opening will be on Thursday 19 April at 20.00 to 23.00. During the opening, the artists will be present to give an introduction about their work. Come join us at the opening or visit the exhibition at TAC on Thursday-Friday 16-21h and Saturday-Sunday 13-21h. View the pictures of the opening night here.